Can three comic-book superheroes, and a rock that falls from the sky, really protect Robert Tourond's brothers as they fight in Europe during World War II? It's 1943 and World War II is raging. 15-year-old Robert Tourond is safe at home in Calgary, but his three brothers are all overseas, fighting the Nazis. A dreamer, Robert closely follows the exploits of his three favourite comic book heroes – Captain Ice, Sedna of the Sea and the Maple Leaf Kid – who also battle the bad guys in the monthly comics he spends his allowance on. When Robert finds a meteorite in Nose Hill Park near his home, a strange chain of events begins. In the same week, a meteorite features in the storylines of all three superheroes. Then his brother Patrick writes to him from Italy about a shooting star he has seen! Robert becomes convinced a magical link exists; his comic book heroes are giving him messages about his brothers' far away fortunesâ€¦and misfortunes. Robert needs money to keep the comic books coming and help the superheroes to protect his brothers. But his own real-life nemesis – known in school as "Crazy Charlie" – seems to keep finding ways to cut his profits. She wins the prize money in a competition he had his sights on, and when he gets a job delivering telegrams, Charlie's doing it too. Then they discover exactly what news those war telegrams have for the recipients. And then Charlie has to deliver one to Robert's house. Can Robert and his heroes really protect all three brothers and bring them home? What would happen if reality came crashing into his world, like a meteorite falling from space? Who will help then? The Comic Book War completes the trilogy that began with Belle of Batoche and Outcasts of River Falls. *Coteau Books has made The Comic Book War available in alternate formats in cooperation with NNELS. Jacqueline Guest is the author of more than a dozen books for young readers, specializing in sports themes and historical fiction. Her books have received numerous Our Choice and Young Readers' Choice citations, as well as American Indian Youth Literature Awards in 2012. 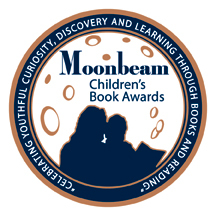 Ghost Messages and Outcasts of River Falls are Moonbeam Gold Medal winners, while Ghost Messages was a 2012 OLA Forest of Reading Silver Birch Award nominee. Jacqueline is a Metis writer who lives in a log cabin nestled in the pinewoods of the Rocky Mountain foothills of Alberta. She is the recipient of the 2013 Indspire Award. Nominated for the 2015 OLA Forest of Reading Red Maple Award.